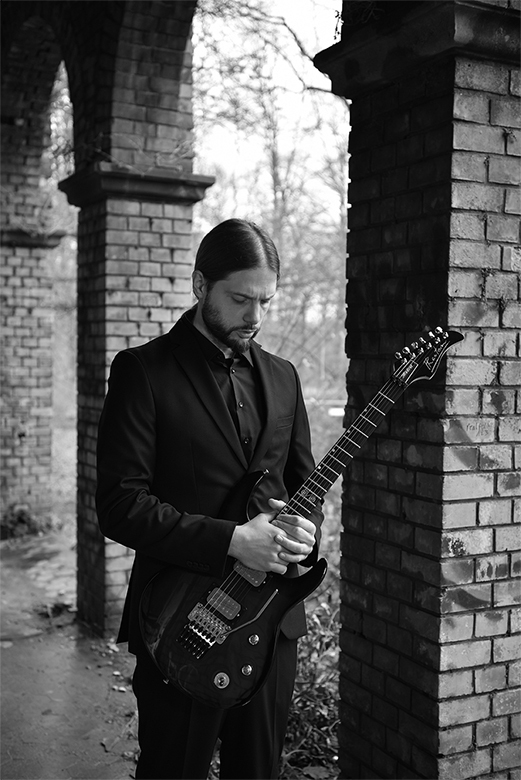 Christian Verspay is an extremely versatile musician on both the electric and the acoustic guitar – from experimental music to rock and classical. Christian Verspay started with the classical guitar but soon founded his first band. This duality and his interest in the most varied styles of music have been the central theme running through his career to this day. It is also reflected in his compositions. Integrating diverse elements, in his pieces he tests and pushes boundaries. He graduated from the class of Tadashi Sasaki at the Cologne University of Music (HfMT Köln) and took extra lessons from the world-famous guitarists Roland Dyens, Pavel Steidl, Roberto Aussel and others. Concert tours took him, for example, to Japan, South America and various European countries. In various projects he cooperated with a wide range of musicians covering diverse styles. Christian Verspay is a welcome guest at festivals and concerts series and his innovative projects have been enthusiastically received by an international audience. His current album “Blood Moon” was released in June 2018. Christian Verspay has recorded a versatile and very atmospheric program, which includes his own compositions as well as works by other composers. Exciting soundscapes meet new and experimental elements. "...he creates spheric sound worlds...enriched with cleverly used effects to bring relaxed as well as tense emotions. Definitely an album to listen to and not for background play. You will be rewarded with a pretty unique musical concept!" "The player´s own composition "Entre Dos Luces", a beautiful, emotive and moody work is well worth the honour of the disc title…"